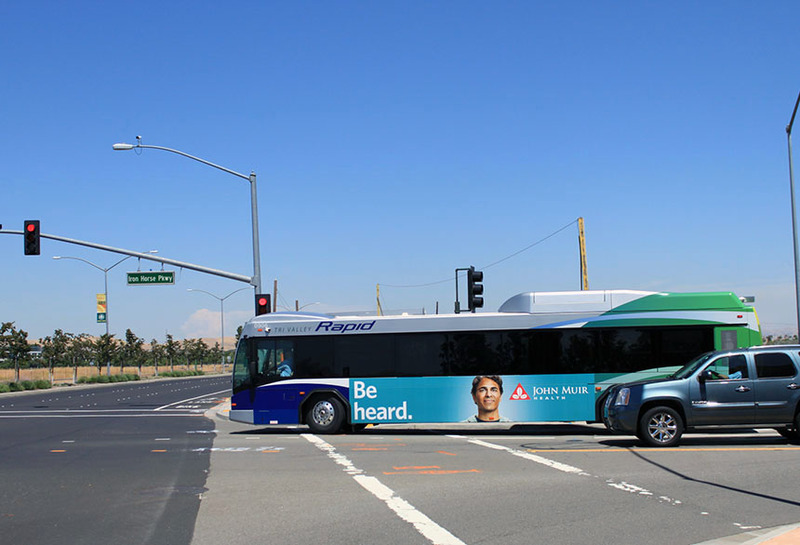 John Muir Heath care services used Lamar transit to market their brand in Walnut Creek, CA. This King Kong display stamped with the slogan ‘Be Heard’ and moved around key residential and business areas. Potential customers in the community could see this creative at eyelevel as it moved through Walnut Creek.